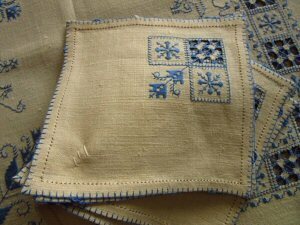 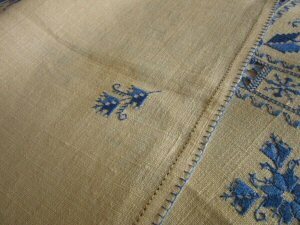 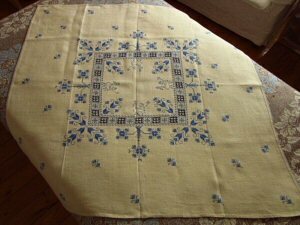 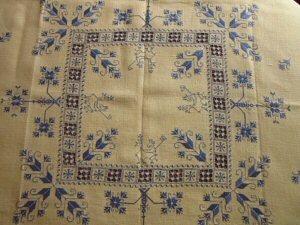 Nine artifact photographs of a square countwork/cutwork tablecloth and napkins, stitched in blue on natural color linen. 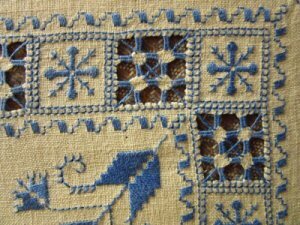 Style looks like Punto Antico, a 19th/20th century revival of classic Italian Renaissance counted work. 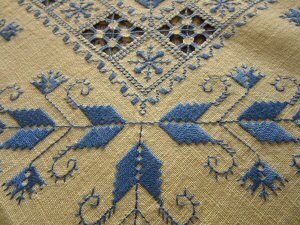 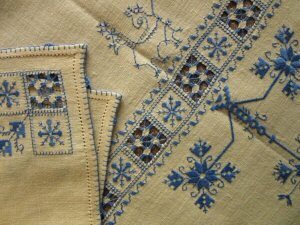 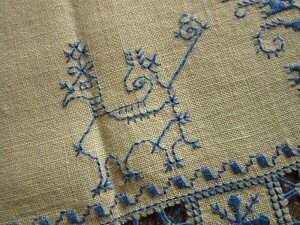 Stitches used include satin, double running, buttonhole, and simple withdrawn thread work. 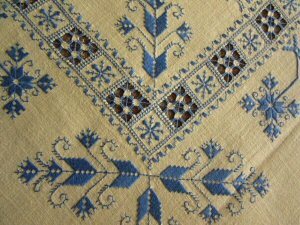 Images donated by ebay seller luka001.